For almost a month now, Saqib (name changed) is at Srinagar’s SMHS Hospital doing his utmost to snap the strings he has gradually attached with intoxicating drugs over the years. Treating doctors hope him not relapsing when discharged. Since it was his decision to get treated, the hopes are comparatively high. 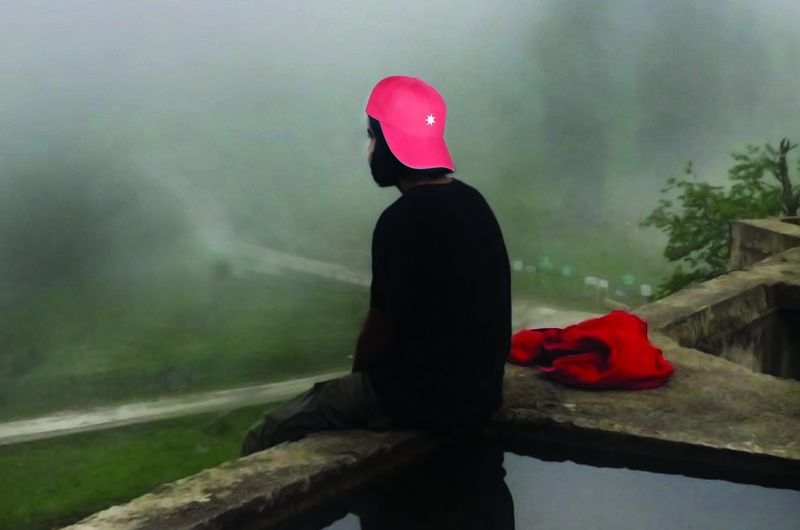 From a non-descript village of Banihal, Saqib claims to be the first AIEEE qualifier. And for that, he didn’t go to any renowned coaching centre, rather burned his midnight oil to achieve the dream of his life. “During the night, I used to sleep for only two to three hours to pass the entrance,” he said. Unfortunately, in the middle of his first semester, Saqib faced a big tragedy of losing his father. Immediately, he developed a heart problem. Doctors advised him not to stay at any place with a temperature above 36 degrees Celsius. In Haryana where Saqib was putting up, the temperature usually goes much higher. Saqib didn’t have a choice but to return home. Since studying was Saqib’s favourite pursuit, his health condition led him to feel that he was being denied the same and fell into depression. For about half a year, he restricted himself within the four walls of his room, grilling himself “about the sins he had done” that he was befallen with such a suffering. During that period, he attempted suicide thrice. Although Saqib found some “kick” in the weed, it also faded away eventually, and he started looking for something of high consequence. In the new pursuit, Saqib was joined by five more friends. They happened upon Brown Sugar and Heroin. They would go to different places where the same was easily available: Dooru Sumo Stand, Qazigund toll post, Sedura Railway station, Bijbehara Sumo stand, and Sunjuwan Jammu. The realisation of having approached to a critical state knocked Saqib only when his addicted friends, one after the other, started breathing their last. The reason was the consumption of high doses. The death of the last one, frightening Saqib out of his wits, consequently landed him in the SMHS Hospital. The taboo of being seen as a drug addict restricts such patients from revealing themselves, their number is difficult to measure properly in Kashmir. But the United Nations Drug Control Programme (UNDCP) 2008 reported that there were around 70000 drug addicts in the valley of which 4000 are females. Several studies conducted in Kashmir revealed that youth, particularly in the 17-30 age group, are involved in this menace. 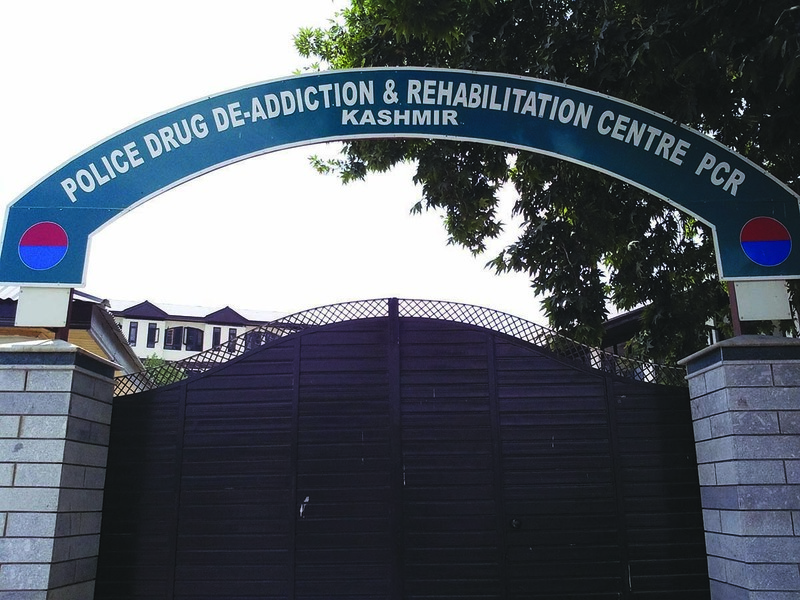 To cater to such patients, nine drug-de-addiction Centres stand established across Jammu and Kashmir under Civic Action Programme (CAP). Two of them operate from SMHS Hospital and Police Control Room Srinagar. 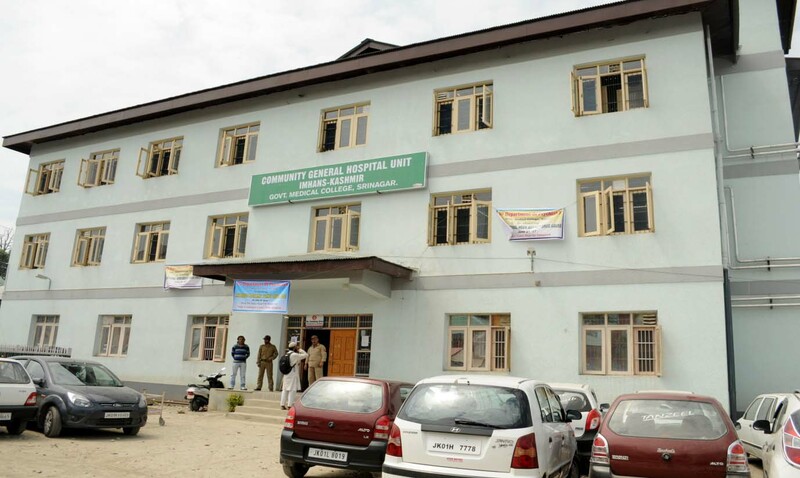 Community General Hospital Unit , Srinagar. In the last few years, the SMHS hospital has witnessed a dramatic surge in the number of drug addicts. From 191 and 119 in OPD and IPD patients in 2014, the number has increased to 528 and 287 in 2017. What is alarming is that most of the patients admitted to the hospital are addicted to Heroin – from October 2017 to April 2018, 79 out of 269 patients admitted were heroin addicts. Heroin is made from the resin of poppy plants. Milky, sap-like opium is first removed from the pod of the poppy flower. This opium is refined to make morphine, and then further refined into different forms of heroin. There is no discrimination of age among the people using it. At the centre operating from Police Control Room Srinagar, the number of OPD cases has jumped from 1568 in 2015 to 2154 in 2017 and in IPD from 105 to 320. Dr Muzaffar Ahmad Khan, Clinical Psychologist and the Director at the centre, believes that the problem has already transcended the threshold of a precarious situation. Aijaz is one of a group of 25 drug addicts who was admitted in the PCR Centre in March 2018. It took him a couple of days to restore to a life he feels normal. Before that the life he was living, he wouldn’t even “wish” for his enemy. The heroin addiction had been so immense on his body that barely an hour would he be able to spend “normally” following the intake. Afterwards his whole body would experience a wrenching pain. For days and weeks together, he had to suffer sleep deprivation. Police destroying poppy cultivation somewhere in South Kashmir. “There were times when I cried during the nights, but I didn’t want to let my family know,” he said. “How could I have told them that I was a drug addict,” he added, lowering his puffy eyes. A simple cigarette smoker, Aijaz was studying in tenth class, when on a day of excursion in 2014, he tried cannabis for the first time. The supplier was the driver of the bus he was traveling in. The moment he smoked the same, he fell in love with it. “It seemed such a great experience,” he admitted, insisting that the feeling was that as if it had opened the door of a whole new world. The case with almost all the drug addicts this reporter talked to, across Kashmir, suggest that one drug doesn’t prove to be much tasteful for a longer time, and consequently the addict shifts to more effective ones. With smoking often acting as a starting point, the common substances used afterward are cannabis, brown sugar, heroin, SP tablets, Anxit, and Alprax, besides inhalants like Fevicol, SR solution, thinner, shoe polish, paint varnish and dirty socks are used as substances. 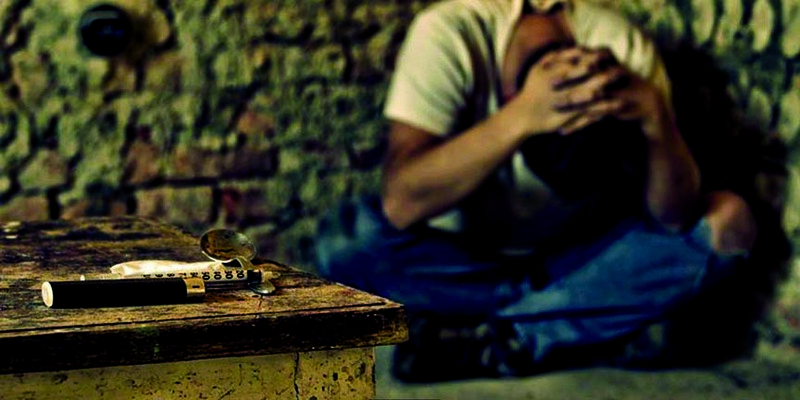 It was only after four months that Aijaz shifted from cannabis to Alprax 0.5 tablets. In his new obsession, he met his ‘addict brethren’. A bogus prescription letter would make easy their job to buy the tablets from drug stores in the area. This drug paved way for Brown Sugar, which, in turn, for Heroin. “First we used to sniff the drug heated on silver foils, and at last we tried the injections, most effective of all methods,” he explained the modus operandi. It does not come cheap. For a gram, an average dose of their daily consumption, they were coughing up Rs 2500. It was a lot more in comparison to the cost they would pay for cannabis. And at times, when the distributors pulse their higher cravings for the drug, they would charge up to Rs 5000. Aijaz remembers a telling story. Desperate to calm their nerves, one day, he along with his friend, Isaaq, drove to Litter from Shopian at 5 am. “Everyone in the locality was sleeping when we reached there. Finding us so desperate the supplier charged us a lot more than the genuine rate,” he recalled. Drug De-Addiction and Rehabilitation Centre a Police Control Room, Kashmir. Experts attribute the drug addiction to a set of diverse reasons. Ranging from a casual encounter with drugs as in the case of Aijaz, a family problem like Saqib, there is unemployment, and the highest of all, the stress level in the state. Kashmir has been through three decades of turmoil that resulted in an increase of psychiatric illness and psychosocial disturbances. A number of psychiatric problems have emerged like Depression, OCD, PTSD, drug addiction, which have strife as a key factor. Aijaz, for instance, comes from Shopian, one of the volatile regions of South Kashmir. At least three dozen boys of the area Aijaz knows are chronic drug abusers. One of Aajiz’s own addicted circle was somehow in possession of a pistol. Aijaz said he knows little about the supplier. Isaaq was eventually arrested by police but was released immediately. But since a lot of FIR’s were lodged against him given his past records, he was supposed to appear before court day in and out. He didn’t abide to the same, so was sentenced to three-month imprisonment at Mattan Police Station. Only after three days of his release, Isaaq had withdrawals. It caused him to take a heavy dose, and thus his story ended in January 2018. The sudden death of Isaaq was incomprehensible to Aijaz’s family. When they wanted to know the reasons from Aijaz, he, scared stiff, spilled the beans. For his family, although it was like a bolt from the blue, they were supportive and brought him to the centre. During the days of his treatment here, he has learned over the phone that two more addicted boys from the area he knew about have died. 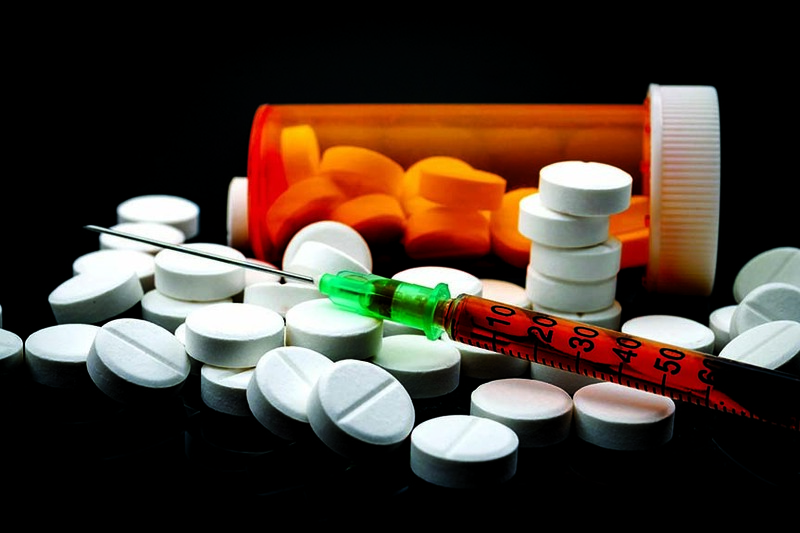 The effects of drug abuse range from blood pressure, heart attack, stroke, psychosis, disease, cancer, mental illness, HIV/AIDS, hepatitis, and even death. These health effects may occur after just one use. In such a critical situation, certain entities want to make big bucks at the cost of the future of the youth. 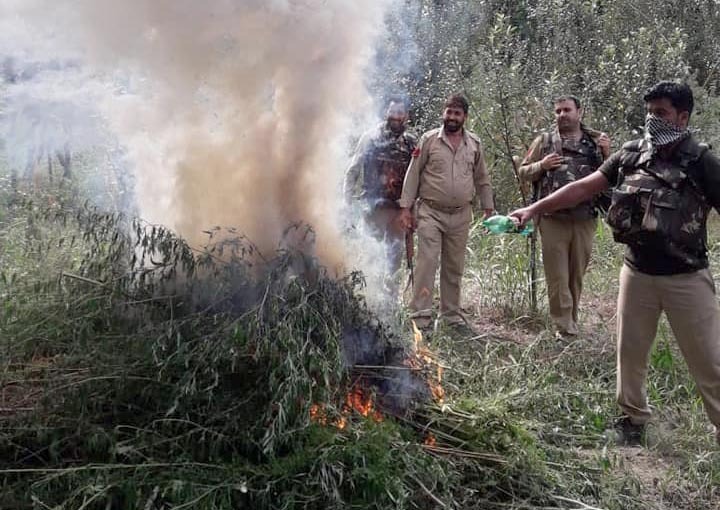 A report by the Narcotics Control Bureau of the Union Ministry of Home Affairs reveals that J&K is one among the top five states in India where maximum drug illicit crops are cultivated. From the data available, about 888 cases were registered under Narcotic Drugs and Psychotropic (NDPS) and 1213 persons arrested up to November 2017. The approximate quantities of drugs seized in the same year are: 179 kgs of Charas, 74 kgs of Brown Sugar, 62 kgs of Heroine, 8149 kgs of opium derivatives, 164 kgs of Ganja, 760 kgs of Cannabis, and from the pharmaceutical seizures 247341 intoxicative caps, 12913 Corex/Rexcof bottles, and 1285 intoxicative injections. The entire mess is the product of black sheep within the society and the system. Whenever Saqib would go to purchase the drugs, the fear of being caught by the police used to hover over his mind. He didn’t want to bring a bad name to his family. But one day, at Doru Sumo Stand, this fear expired when Saqib got to know the person accompanying the dealer was a cop. “Since then, I didn’t care any further,” he insisted. On the other hand, Aijaz’s drug supplier would always boast about his “connections” with every top notch. In most of North Kashmir, the prospects of the poppy and bhang cultivations were high this year given the circular of the government about no cultivation of paddy in the area. Pertinent to mention, from 2895 kanals of poppy crop destroyed in the valley last year, the highest was 1202 kanals in Baramulla alone.